Today was an amazing, warm sunny day. I was even able to go walking on a nearby trail. Awesome to get outside!! 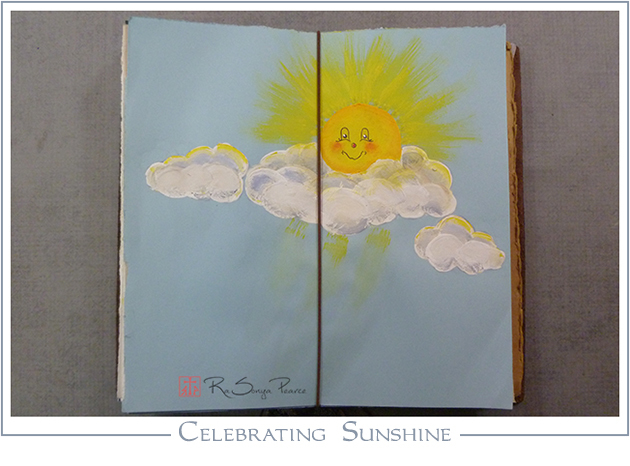 The real sunshine might not last and winter will probably reappear, but for now (and for Art 365) I am celebrating the sunshine!!! I am soooo loving playing with acrylic paint! It’s nice and creamy, gooey- loads of fun to smush and swirl onto the page. Plus, there are the textures that build up, so yummy and tactile!! 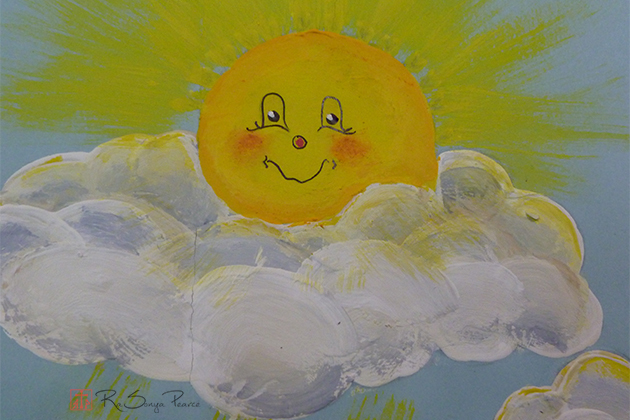 Go out, enjoy the sunshine while you can and remember, faith works! My Pen and Ink Pumpkin Mini E-course is Finally Finished!